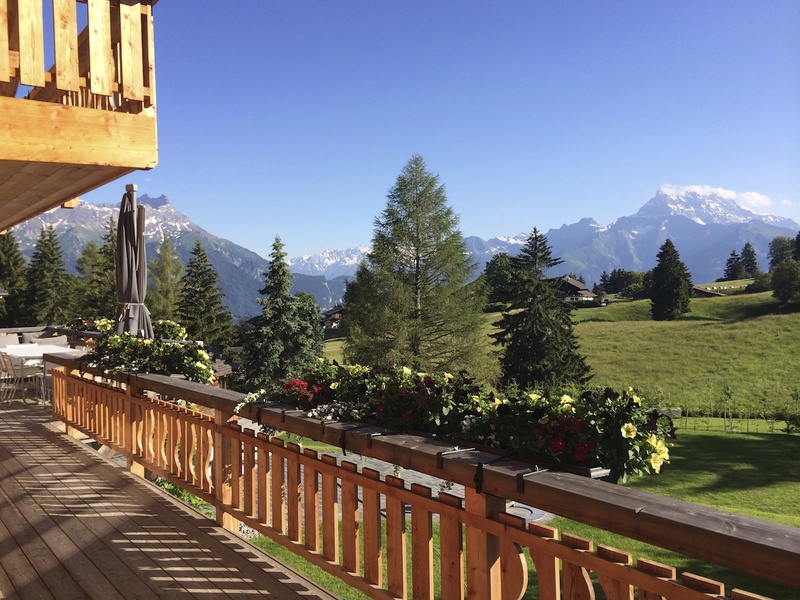 Two and a half weeks housesitting for a friend who lives in a ski village in French Switzerland – how could I say “non”? This is a part of the world that knows how to turn up the dial on mountain landscapes. 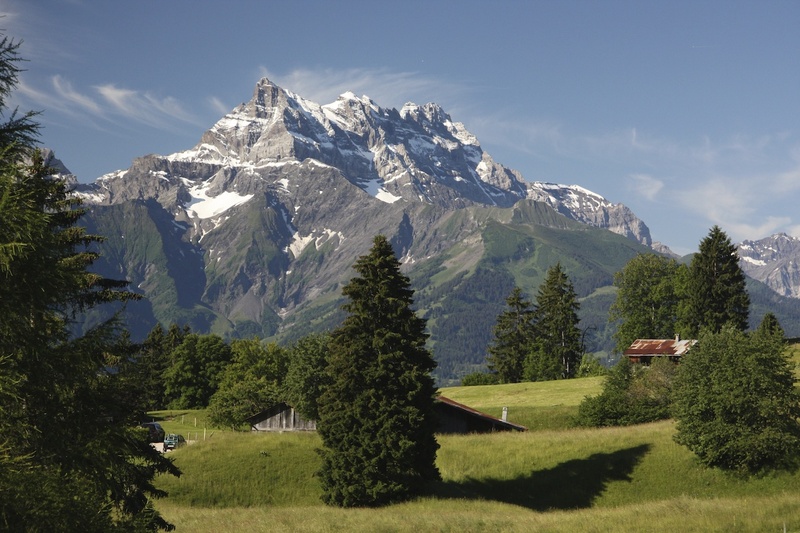 The weather wasn't all blue skies – only six of my 18 days in Villars-sur-Ollon (near Montreux) were sunny – but when the sun does shine, man, you need a couple of rainy, misty days to recover from the scenic splendour. 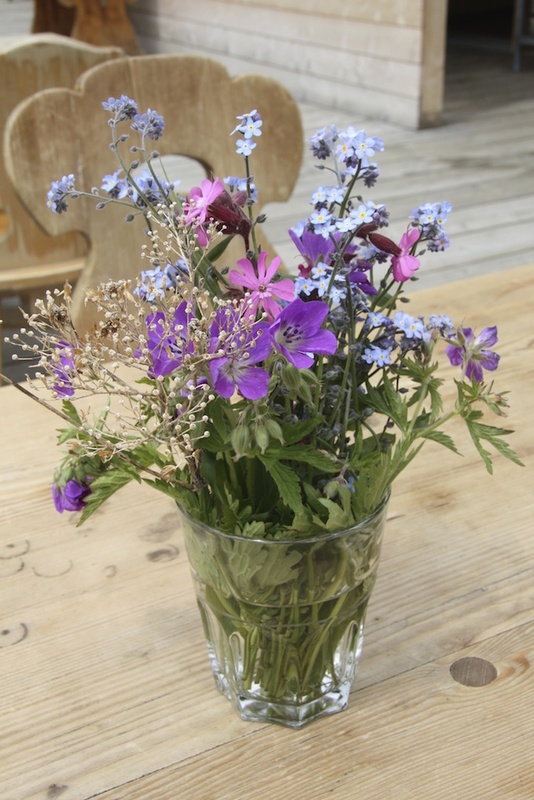 The challenge: How to live simply in one of the most expensive countries in Europe and in a mountain town that has TWO of the most expensive schools in the world (Beau Soleil and Aiglon College). 2. Hiking. 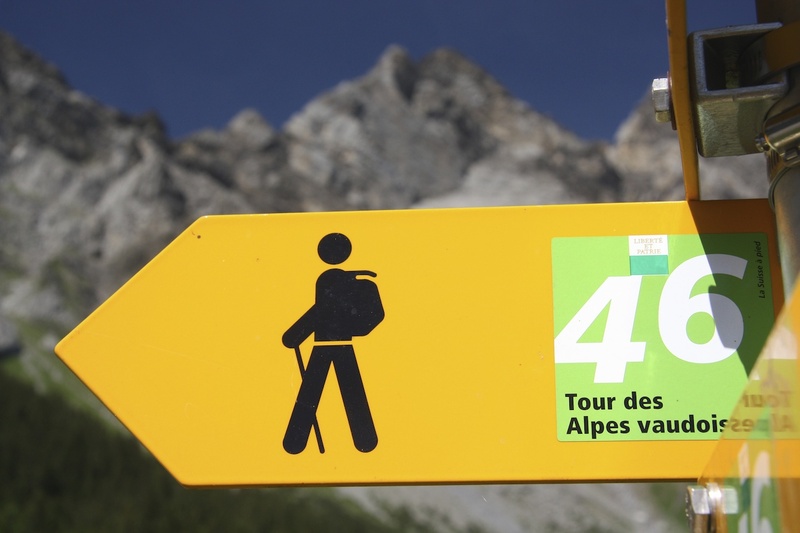 Even getting up into the mountains is inexpensive, thanks to the Villars-Gryon Free Access Card, valid May-October. Although it's technically "free" only in name, for 10 Swiss francs (about $12), you can use any bus, train or gondola in the area for a whole day. Fifty francs ($60) buys you free transport for the whole summer. 3. Looking at mountains. Even after a week of constantly stopping to look at 3000-metre peaks in every direction, I still couldn't wait to open the curtains each morning to see them again. What would they be like today? Is there fresh snow from last night's rain? I started to wonder how people who live here get anything done. How do they not get so distracted by alpine beauty that they forget their jobs, their errands, their children's names? I still don't know. 4. Eating in, and out. This being French Switzerland, the food was a highlight (and probably the main reason my friend Janet flew all the way across the US and the Atlantic to housesit with me...). It was also surprisingly affordable. 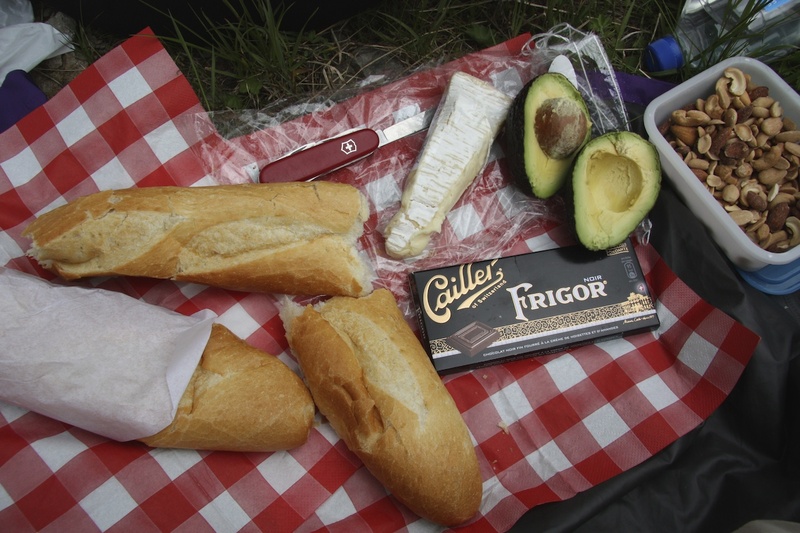 Lunch was always "the best picnic ever": a fresh and crusty baguette, at least two kinds of cheese, an avocado and some nuts (for some non-dairy nutrition), and a block of Cailler dark chocolate, served on a makeshift tablecloth (in this pic, some red checked paper napkins). For other meals we cooked instead of eating out (the advantage of having a kitchen) and spent almost as long in the chocolate aisle as in the whole rest of the supermarket. And still we'd always make sure we had a few francs leftover for pains au chocolat from the boulangerie. It was like being in Paris - with clean air and mountain views. 5. Swimming in Lake Geneva (once you've paid the train fare to Montreux). This was another highlight of our stay (even though we had to swim in our underwear, because it had been raining and cold when we'd left the mountains and we hadn’t expected Montreux to be sunny and 22 degrees C and the lake so irresistible). Sometimes the best things in life are spontaneous too. 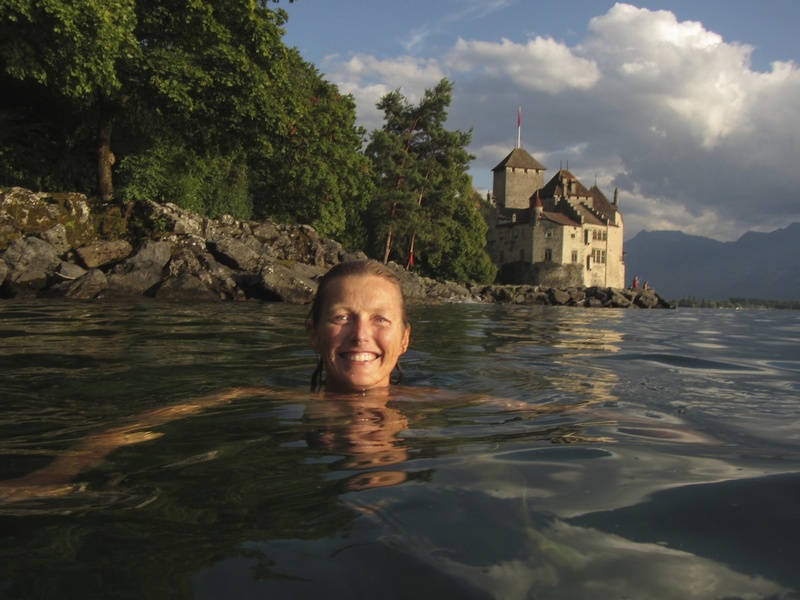 Not only that but we swam right next to Chateau de Chillon, an incredible 12th century castle right on the lake, just after watching a ballet company rehearsing for that evening's performance, for the price of admission, a mere 12 francs. Oh, Switzerland, how do you do it? 7. The kindness of strangers. One day we caught a bus (using the Free Access Card) to Solalex, a glacial cul de sac at the foot of an enormous slab of rock called the Miroir d'Argentine. We'd just been tandem paragliding for the first time (which isn't free, of course, but was much cheaper than back home, go figure) and were celebrating with a couple of Boxer beers (who knew the Swiss made beer?) at Le Restaurant du Miroir d'Argentine, when the aproned waiter came over and offered us two slices of peach flan and some freshly whipped cream, as they were about to close. This is what I love about travelling. Kindness, and dessert, when you least expect it. 8. Speaking French. Practising my schoolgirl French – priceless. Attempting to speak another language in a country that speaks it all around you is a little-known form of entertainment, and not just for the locals (!). I love places where you can live simply but still have another language and culture to keep things interesting. 9. Summerberries. 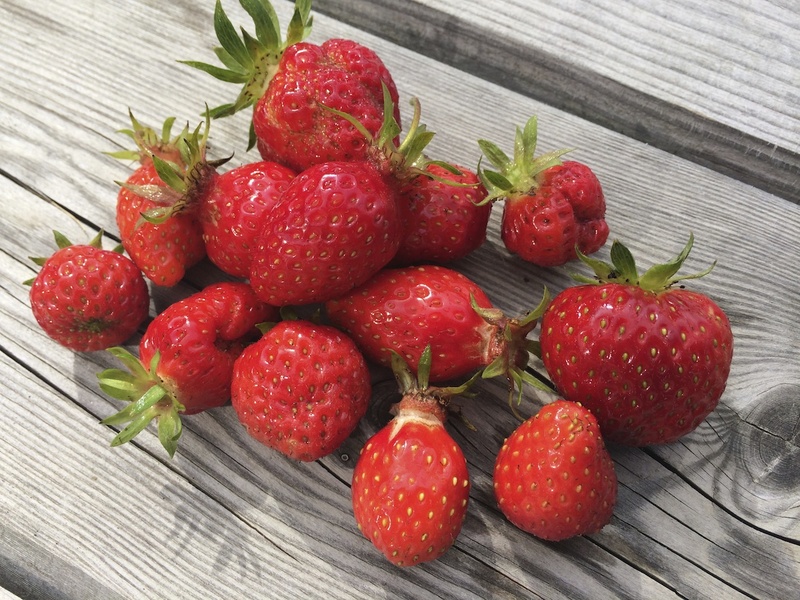 I learned a new appreciation for summer by picking strawberries in the garden of the house where we were staying - so precious when you know the ground will soon covered in snow. We also met hikers picking wild strawberries beside the trail. 10. Friends. Having friends in high (as in altitude) places makes even the most expensive destinations affordable (big thanks to Keith and Yvette for opening up your home to us while you were away). But even when you don't know anyone where you're going, there are other ways to housesit, like Trustedhousesitters, which has assignments all over the world and you usually stay for free in exchange for looking after the owners' house, garden and/or animal friends. Got any tips for travelling on a budget in expensive countries? If you're travelling through Europe during the busy summer season, don't head for tourist spots, instead stay in cities, especially business centres. So, for example, in Holland we stayed in a fantastic hotel in Den Hague which is an easy cycle from the sea for 60 euros a night for the two of us including a five-star breakfast which meant we hardly needed to eat any more than a snack for the rest of the day. Alternatively, it's often cheap to find an apartment in a city. We rented a super-stylish apartment in Bordeaux for around 300 euros for a week - the coast was an all-bike path two-hour cycle or easy ride on the train - but we actually found we spent more of our time cycling around the local vineyards. The added bonus was that there was heaps more to do in the evenings - ballet, food and wine festivals, fantastic restaurants, good shopping. We cycle everywhere which means we don't have to hire cars, pay road tolls or petrol and, if we do get bored, we can hop on a train. Some charge for bikes but it's only a few euros. Next year, we're going to carry a tent and a few basics on the bikes as well. I've done ten days in Northern Portugal and the Italian Lakes on a bike, camping and eating really well for less than 200 euros each trip.